Free, but booking is required from our website. 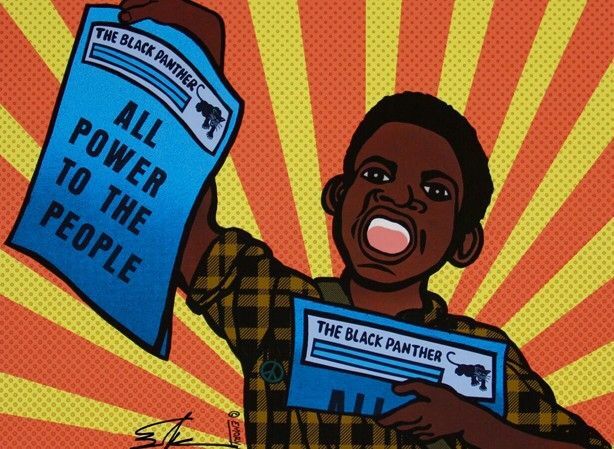 Black History Month film festival with screenings of The Black Panther Party: Vanguard of the Revolution, The Black Power Mixtape and ’67 Revolution. A Film Festival on the Anniversary of Black Power. Please join the Centre for Research in Race and Rights as we celebrate the 50th Anniversary of Carmichael’s infamous slogan with a Black Power Film Festival. We will screen Black Panther Party: The Vanguard of the Revolution (an award-winning 2015 documentary that charts the rise and fall of the Black Panther Party); The Black Power Mixtape 1967-1975 (an award-winning 2011 film that examines the evolution of the Black Power Movement in American society); and Revolution ’67! (a documentary that discusses a six-day revolt against poverty and police brutality in Newark, New Jersey in 1967). We also will have brief introductions to the films and a public conversation at the end of the last screening. In collaboration with the Centre for Research in Race and Rights (C3R) and the Research Priority Area in Rights and Justice at the University of Nottingham.